I went to my cousin's favorite eyebrow threading spot today (she's been raving about it forever, at this place they work on grooming your eyebrows into the ideal shape that fits your face) with the intention of getting my brows done. I low-key also wanted to get my upper lip threaded. I normally just get my eyebrows threaded at the eyebrow threading shop in the mall, but I've noticed that my results from there have been inconstant. Since my cousin's eyebrows always look fleeky, I decided to trust her suggestion. Apparently Friday's are super busy for this place, so while I wasn't able to get my brows done, I was able to get my upper lip situation taken care of. The lady that threaded me was SUPER nice, and she gave me ton's of skincare tips while she was threading my upper lip area. First, she told me that I should NEVER use Nair on my face (Up until today, I had been using Nair Moisturizing Face Cream on my upper lip) because that's way too harsh for facial skin. She said that she can see that the Nair had caused a little skin damage, but if I took care of the area it would repair itself. She advised me that from my neck down, I could use whatever I wanted for hair removal. From the neck up, it was best to thread. As I talked to her, I could tell that she really knew her stuff about skincare (she also had gorgeous skin, and like PERFECT eyebrows). I could also tell that the stuff that she was telling me (especially about threading from the neck up), was based off of her vast knowledge of skincare and not because she wanted me to keep coming and keep my dollars in her pocket (ha ha). I had heard before that Nair wasn't the best thing to use on the face, so that's why I decided to try threading today. 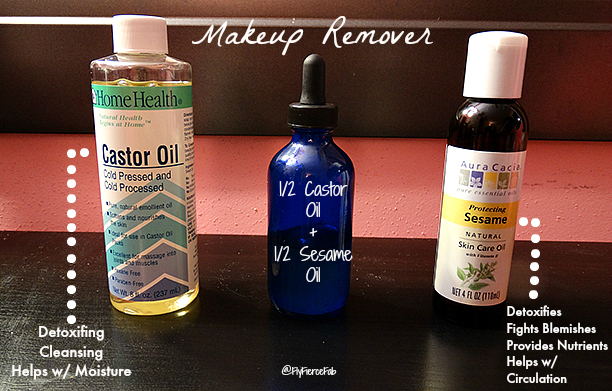 The lady also suggested that I try using Sesame Oil mixed with Castor Oil to remove my makeup, as it looked like the things I had been using to remove my makeup had been a little too harsh on my face. Scalp massages with oil, and to leave the oil in my hair overnight (which I already knew about and did on a regular basis). I made an appointment to go back next week to get my brows done, so I'll be sure to post before and after pics from that experience as well. Theresa Seyi. 20 Something. College grad, with a few degrees. Future microbiologist. Serving God and serving looks. I only choose to feature things that I find to be Fly, Fierce, and Fabulous (If I think it's wack sis, I'll tell you). All reviews and opinions expressed within the content of this blog are strictly my own unless otherwise stated. If something is sent to me to review/feature on my blog, or if a post is sponsored that will be disclosed within the pertaining blog post (my disclosure policy can be found here).